Yesterday, we drove up to Los Angeles for an exciting peace event, where my daughter sang with the local church choir. 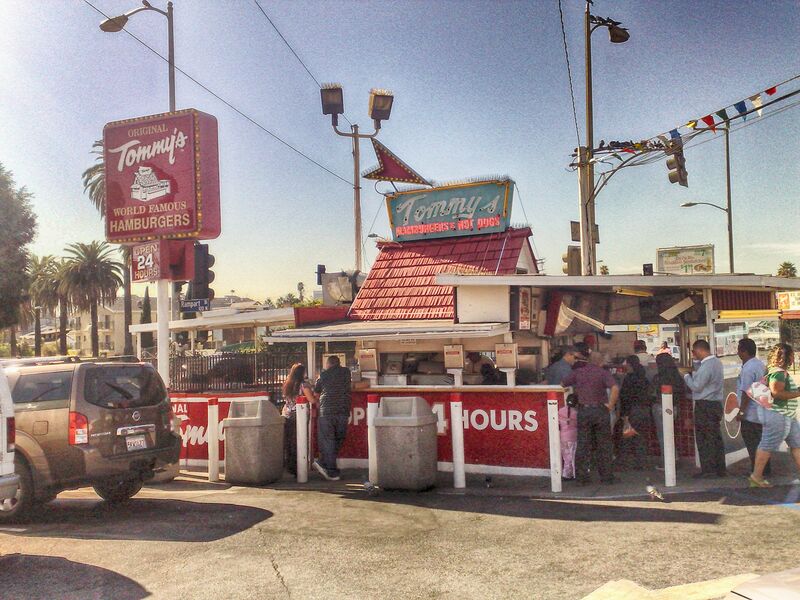 Earlier today, my buddy Andy took us to Tommy’s, which he described as “an institution”. Andy also lives in San Diego, but he grew up in LA. His dad used to take him to the burger place, for which people would line up around the block to eat. There are no chairs at Tommy’s. People stand up to eat their chili burgers. The place was loads of fun and a great way to end our short City of Angels visit. I snapped the above picture with my Nokia N95 cell phone. Editor’s Note: Image re-edited, applying Bright filter, using Google HDR Efex Pro 2, on April 3, 2017.